The decision between petrol or diesel engines has been an ago old question for car buyers, yet new research from HonestJohn.co.uk shows that Range Rover Evoque drivers stand to make significant savings by choosing diesel. The Fuel Cost Calculator shows a diesel driver in new a Range Rover Evoque stands to save £351 a year, when comparing with a similar model with a petrol engine. HonestJohn.co.uk compared the Evoque SD4 190 Automatic in Dynamic Lux trim with a Evoque Si4 240 automatic in the same trim and found £500 savings on the list price, along with annual savings of £351. 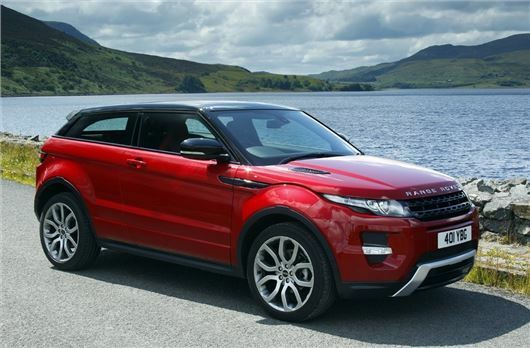 Diesels traditionally command a premium over petrol engined cars, but the four-wheel drive Range Rover Evoque is one of the exceptions to this rule, with the petrol model costing £45,660 compared to the diesel, which is priced at £45,160. The savings increases when you consider real world economy. According to Real MPG figures, the diesel Evoque will provide an annual saving of £650 per year, which means, over three years, a diesel driver stands to retain a whopping £1950, compared to their petrol powered counterparts. However, it’s worth noting that modern diesel engines are fitted with diesel particulate filters (DPFs) which means they are not suitable for repeated runs from cold. This means, unless you drive 20 miles per journey, a diesel might not be suitable for your lifestyle. that should be enough to pay for the dpf to be fixed the egr to be fixed and a new cambelt to be fitted.